The SPUNFLOW QA range of absolute rated, graded density filter elements are manufactured from thermally bonded microfibres layered onto a centre core. The construction consists of numerous, distinctive filter zones with coarser outer layers acting as prefilters for the tighter, absolute rated central zone, this removal profile produces an element possessing high voids volume, which benefit the user through high flow rates, low pressure loss, high dirt holding capacity and long life. 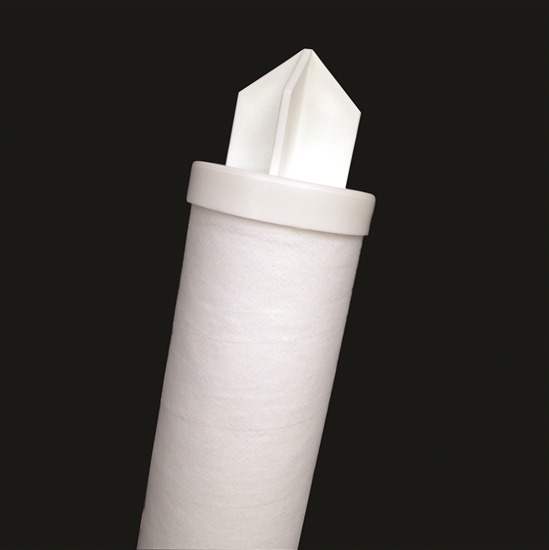 • Absolute Filtration ratings 0.5 to 90 μm. • Available in lengths up to 40" (1016 mm). • Easy handling and operation. • Fit into existing cartridge filter units.